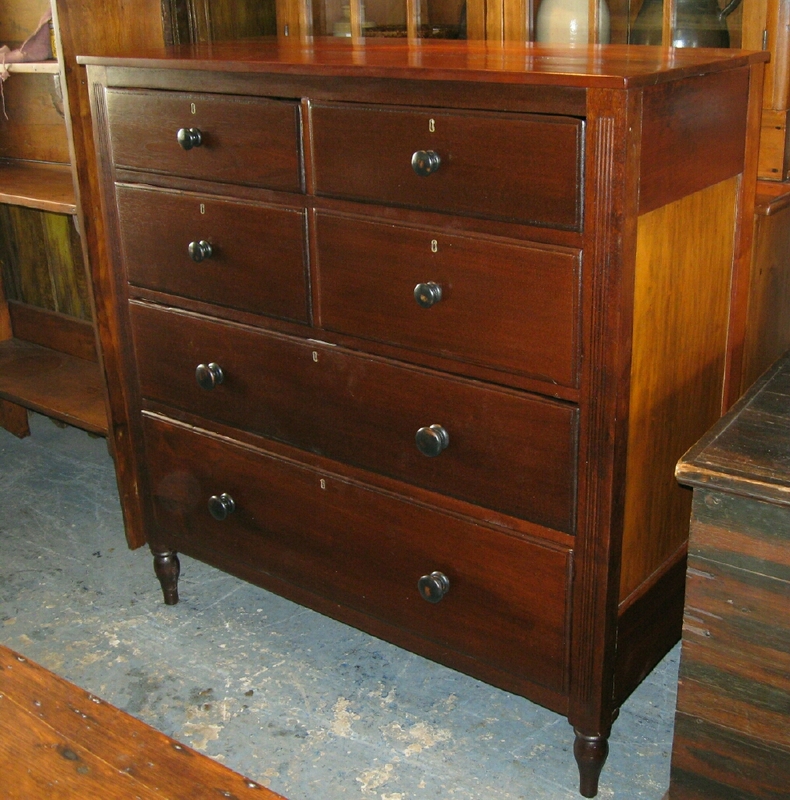 Sheraton chest of drawers made out of mixed Canadian woods with 4 small drawers over 2 large drawers. It measures 45 inches wide by 20 deep by 47 inches tall. Circa 1850.